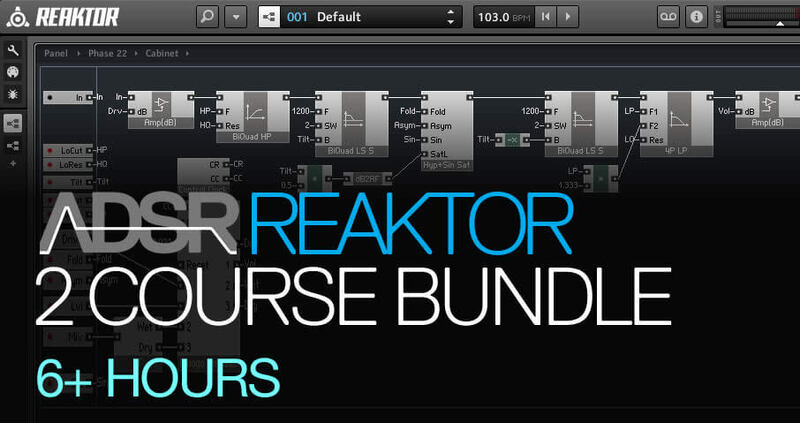 This comprehensive bundle includes both our Reaktor Masterclass and the Reaktor Core Masterclass in one affordable package. 42 videos totalling over 6 hours of in-depth instruction step you through everything you need to know to start using Reaktor with sterling proficiency. You will learn it all – from navigating Reaktor and building with instruments and macros, right through to the complex programming environment of Reaktor Core and the partials framework. Learn how to use Reaktor step-by-step. This 21 part video course teaches you the fundamentals of Reaktor giving you a practical understanding of oscillators, envelopes, filters, FM synths, samplers, delays, events, IC Sends, sine banks and more. By the end of this course will you have an in-depth working knowledge of Reaktor’s workflow and layout as well as the terms, concepts, structures and unique peculiarities of this powerful modular software. 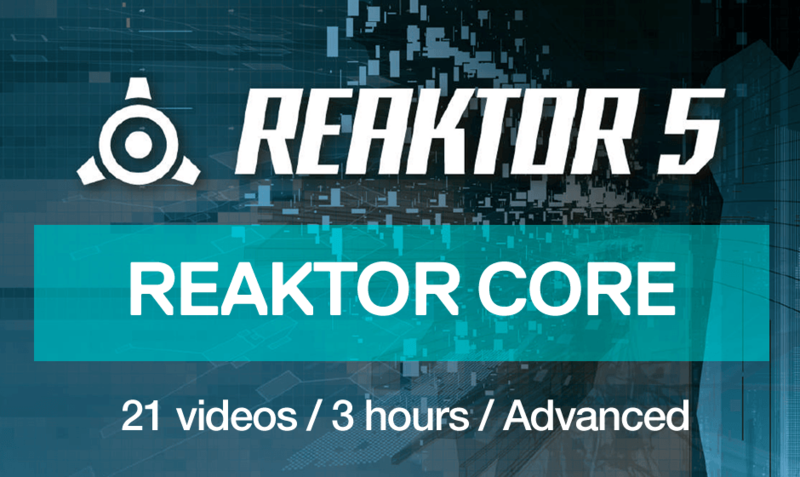 Learn how to use Reaktor Core from the ground up. The 21 videos in this advanced Reaktor course explain in practical detail how to work with different signal types, how to create basic building blocks for synthesis such as oscillators and envelopes, the partials framework and the advantages that Core has over Reaktor Primary. By the end of this course you will be well on your way to creating almost andy sound generator or effect you can think up! 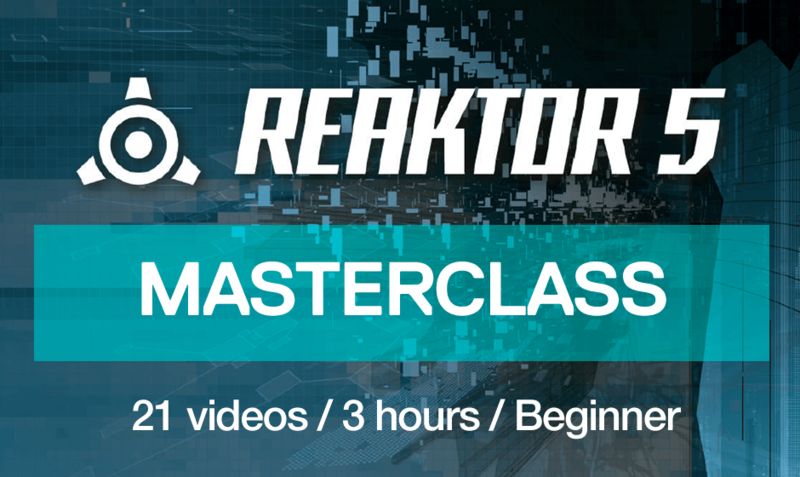 Learn Reaktor And SAVE Money! The secret to taming Reaktor is to learn it step-by-step. Our Reaktor Tutorials are presented in a steady, progressive fashion so that each student can get the necessary know-how. 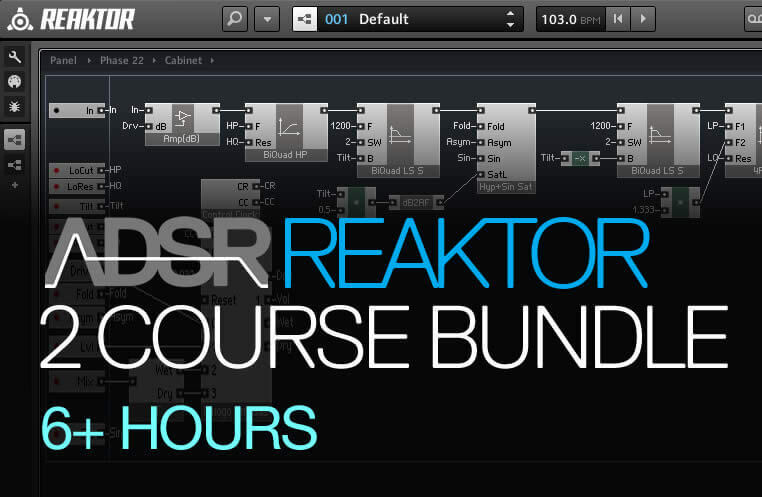 Each video builds upon the previous one, so that by the time you’ve watched all 6 hours contained within this complete package, you’ll have a better understanding of Reaktor than almost every musician or sound professional you know. Not only that by buying this bundle you save more than 30%!